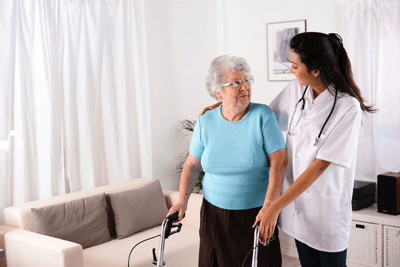 Senior Care Bundled Services | Full Circle Home Care Inc. If you’re caring for a parent or a loved one, you may feel frazzled as you juggle caregiving duties with work, parenting and managing your own household. If you’re like nearly a third of Canadian adults, you spend an average of 20 hours per week caring for a chronically ill, disabled or aged family member. As your parents grow older, caregiving can quickly turn into a full-time duty requiring 40 or more hours per week. Under even the best of circumstances, caregiving can disrupt your usual work and social life, sleep habits, and exercise routine, household duties and finances. Eventually it can take a toll on your physical and emotional health. After all, you can’t be on-call 24/7 and you still want to preserve the relationship with your parents as a family member, not purely a caregiver. How can you support a parent or loved one in need? In-home care is more affordable than you think. We will work with you to tailor an affordable care plan that meets your needs, providing the independence and freedom you deserve, whether it be for a few hours a week or full-time care. As seniors age, they may become less flexible and steady on their feet. This can make morning routines difficult, and many seniors struggle with getting dressed and fixing a good breakfast. Some seniors may hesitate to bathe for fear of slipping in the shower. With the help of a caregiver, your senior loved one can start their day off right. Having a good morning can impact the rest of your day. Full Circle Home Care’s Rise and Shine Care Package gives seniors the assistance they need to get ready for their day. From getting help out of bed, to bathing assistance, to dressing assistance to a nutritious breakfast, a caregiver can be there every step of the way to a refreshing morning and a great day. Juggling a job and your caregiving responsibilities can be stressful. According to the Family Caregiver Alliance, 70% of working caregivers experience work-related difficulties. Depending on the distance between work and home as well as your ability to get away during the day, your loved one may be left alone and without help. This can cause a lot of worry and stress in your life as well as your loved one’s life. Wouldn’t it be nice to leave for the day, knowing that your senior family member will be safe and well-cared for? With our Mealtime Check-in Package, your loved one will receive a visit from one of our caregivers during the day when you are away from home. During this friendly visit, we will make a healthy meal, help with feeding assistance, and provide some light housekeeping. Sometimes just having someone to talk with can make a big difference to seniors who spend a lot of time alone. After the visit, our caregivers can contact you with an update on your loved one and any needs they may have, keeping you completely involved in their care while you tend to other are responsibilities.